Freedome is a new kind of simple but powerful online privacy and security app. Get better performance with F‑Secure Booster. 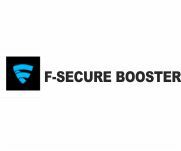 F-Secure Booster is a tune-up tool for PC and Android devices that improves performance, stability, and battery life. Use F-Secure Booster for all device maintenance tasks.